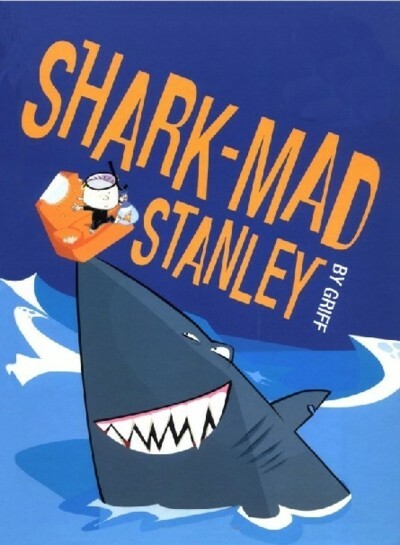 Stanley, who loves sharks and knows all about them, fantasizes about having one for a pet and considers all the things he would need to feed and take care of it. This was in our first order from Amazon and because my son loves sharks it seemed like a good choice and it was. This book had small little facts with humor and a great story. My son has often asked if he could have a pet shark and this story was about a little boy who wondered the same thing. In the end he learns the truth about owning one and how he gets there is great. This is one of those rare little boy books that apeals to their sense of danger and need for anything that grosses out or horrifies their little sister. My son's favorite part was when the shark was in Stanley's house and then his friends were going to have to join him too. I would recomend this book it is fun and your kids would enjoy it.